The relationships you develop here will be the building blocks of your career. 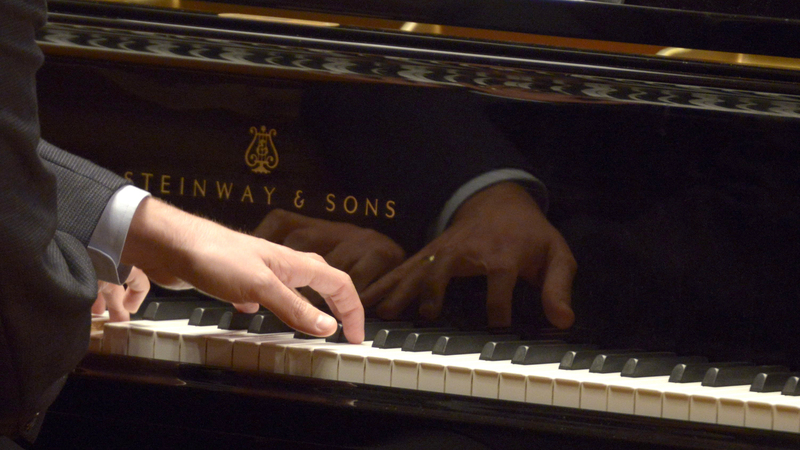 The NEC Collaborative Piano Department offers a unique program of intensive study to advanced pianists with leading specialists in the fields of song, chamber music, and opera. Through daily study in performance classes, private lessons, and coachings, students gain greater familiarity with the standard vocal and instrumental repertoire and develop the skills needed to be professional collaborative artists. Students will also benefit from the instruction of world-renowned artist-teachers from NEC’s departments of strings, woodwinds, and voice through collaboration projects and work assistantships. All of a sudden, you can see a student being able to learn and digest music in a way that you never even knew was possible. Cellist Julia Yang and pianist Patricia Au perform John Harbison's Abu Ghraib as part of a Contemporary Ensemble concert. New England Conservatory alumni, violinist Tessa Lark and pianist Yannick Rafalimanana, perform Bela Bartok's Romanian Folk Dances. The constant performing and learning of repertoire makes this program very different from any other at the school.